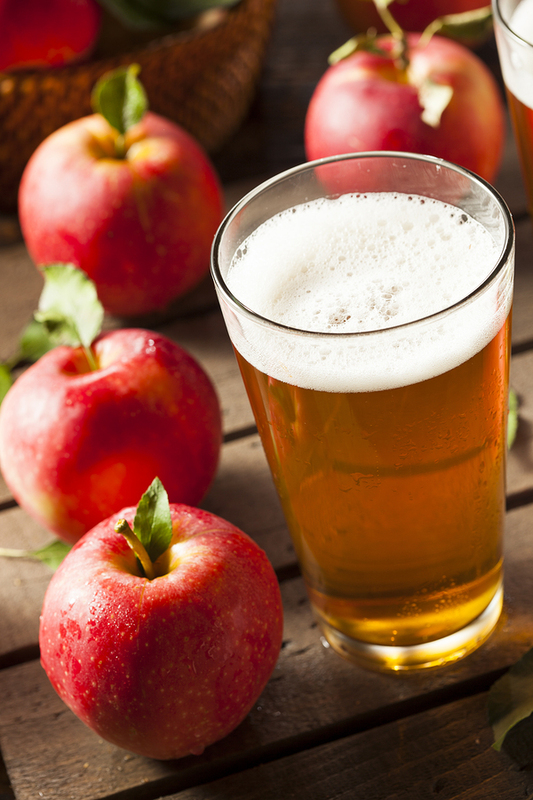 Delight your senses while visiting the nine wineries and cideries hosting this fun event. 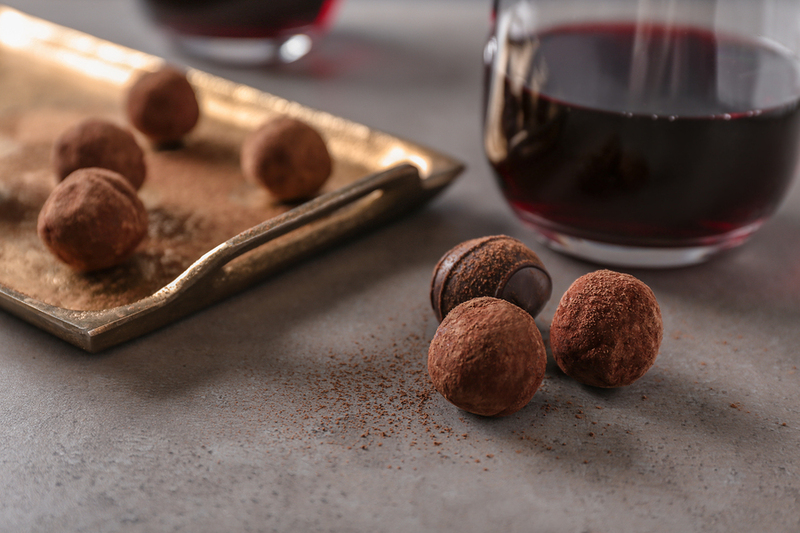 Harbinger Winery – The chocolate pairings enhance their mission “to craft incredibly drinkable wine”. Camaraderie Cellars – Sip their wines in a lovely garden setting, while sampling cocoa-spiced pulled pork cooked in a wood-fired oven. Olympic Cellars – Will introduce two new luscious red wines (a 2014 Carmenere and 2015 Cabernet Franc) paired with Sequim’s “We Do Fudge”. Wind Rose Cellars – They boast award winning Italian varietals wines, in addition to a full-service bistro. FairWinds Winery – Celebrated for their delicious Cabernet Sauvignon, Cab/Merlot, Merlots, and Ports. 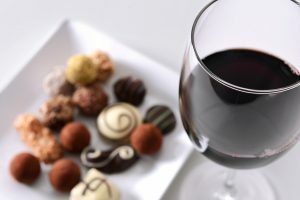 Port Townsend Vineyards – Excite all five senses, while savoring delectable chocolates with their full-bodies reds. Eaglemount Wine & Cider – Sample their wine, hard ciders and meads within a beautiful tasting room alongside 12 scenic acres. Marrowstone Vineyards – Sip their 2015 Cabernet Sauvignon and a Sauvignon Blanc from the 2017 harvest, while perfectly paired with chocolate prepared by Port Townsend Chocolate Company. Finnriver Farm & Cidery – Savor fine hard ciders and fruit wines within a rustic tasting room, among an 80 acre organic farm. Treat your Valentine to this unique experience of food, wine, and chocolates while enjoying a lovely scenic drive. Fall in love with the Olympic Peninsula with its shimmering coastline, snow capped mountains and gorgeous forests. After all, many choose Sequim for their home, because of the great food, fine wine and amazing outdoors. Contact one of our friendly agents at Schwab Realty in Sequim and let us pair the perfect home with you.